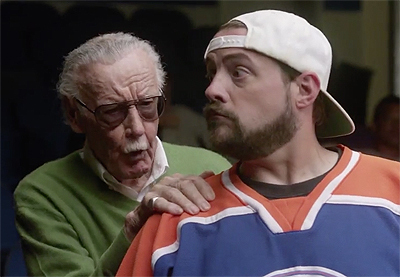 Released by Audi of America today, discover the hidden talents of comic book legend Stan Lee as he teaches a very unique acting class to Kevin Smith, Michael Rooker and Tara Reid: the art of cameo. Stan’s notable cameos in Marvel films, from being a beauty pageant judge in Iron Man 3 to a mental ward patient in Thor: The Dark World, are part of comic legend. The video, directed by Kevin Smith, also features cameos by Lou Ferrigno, Jason Mewes and the Audi S8. Audi and Marvel Studios are joining forces once again for the release of Avengers: Age of Ultron, which will be released this Friday, May 1. The highly-anticipated film will feature the 2016 Audi R8, 2015 TTS and 2015 A3 Cabriolet vehicles alongside the next generation of Avengers characters. The R8, which made its initial debut in Iron Man, returns as Tony Stark’s vehicle of choice, but an even more powerful supercar, while the iconic Audi TTS makes its big screen debut as a completely redesigned coupe.